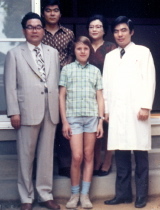 In 1995, after six years of experience as a specialist in general internal medicine in The Netherlands, I was invited to become skilled in Japanese endoscopic techniques that are renowned throughout the world. 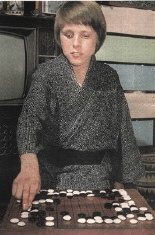 Having learned to speak Japanese in my youth because of time spent in Japan pursuing my hobby of playing "go", I decided to accept the invitation and came to Japan. After passing the Japanese National Examination for Medical Practitioners, I was able to practice medicine here without any restrictions. Through my clinical work I have been teaching the better aspects of Western medicine to Japanese physicians, while through my extensive gastrointestinal cancer research I have been introducing the superior aspects of Japanese medicine to the West. 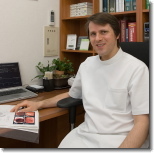 In the International Clinic all the staff can speak English as well as Japanese, and because of this it is hoped that non-Japanese speakers who find themselves in Fukuoka will not hesitate to seek medical consultation. It goes without saying that the clinic is open to all nationalities, with or without Japanese insurance. My experience has taught me that there are large differences between Japan and Western countries regarding diagnosis, treatment and patients' wishes. Such different medical practices, however, cannot be defined as simply being right or being wrong. The most that can be said is that they are either suitable or not suitable for particular patients. In the International Clinic I hope to make full use of both my experience and my awareness of these matters to provide the best clinical care possible, and to ensure peace of mind to all my patients.